Well, I wasn’t really posting for a while, not that I didn’t want to but I had a little issue with my blog (and my posts not showing up in the topic readers), so I was somehow upset by it and didn’t write for a while. But I’m back! Since I will be leaving for Canada in less than a week now, I’ll probably not be posting here that much. Anyway. A few news: I cut my hair! Had long, loooong hair for ten years. Suddenly cut it shoulder-length. Terrible decision. But it’s actually all fine, I got used to it more quickly than I thought. 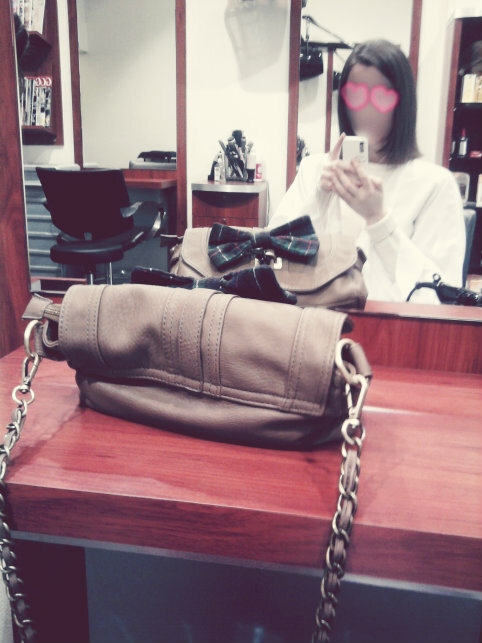 I actually hate going to the hairdresser, because of the prices. When you have to pay 40€ to cut 3cm of your hair, isn’t that just like daily robbery? Seriously… when I think my brother only has to pay 22€ no matter what length of hair he has… it just annoys me. Let’s not speak about hairdressers prices, because it always makes me cringe. Now talking about stuff I did since I’m in holidays…Well, I suddenly decided I wanted to sew. And since I am always a bit too ambitious I chose to sew a toilet bad, not anything easy! It was terrible. Terrible! Took me hours and hours. The result isn’t that bad. It’s just important not to look too closely at it, because of all the badly-made & way-too-visible seams. Anyway. Proud of myself. Actually didn’t think I could finish it. I’ll upload a picture later. Of course, I also read. The “This Charming Man” book I talked about in my previous post… as well as a few others I had already read before (security security…). As I have a few troubles with the application process for next year, I have nothing to officially announce yet on the subject. It’s litterally ruining my holidays so far, and I hope I can be over with it before leaving to Canada or I will be very very upset. I’ll probably be posting about Alice in Wonderland in a few minutes. I wrote this article a month ago, but with that topic readers trouble… anyway. I’ll be posting it right away. PS: LMF is in London right now. I don’t think she will be posting for a while.